Its taken a little bit of fiddling around with the new blog site, but Episode 1 of the new UK Based EMS/Pre-Hospital care podcast is now live and available to listen to online or download to whatever generic music player you have! 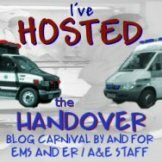 In this first podcast, my panel of operational medics and I discuss a blog article from Insomniac Medic that referenced a recent news paper article which held the headline of “UK Paramedics sent to emergency calls without ambulances”. This was referring to a new trial by London Ambulance Service which is currently underway in one part of their service area. After putting the facts in place to dispell the sensationalised headlines, we carry on with a great discussion on the future of EMS in the UK. Visit the Ambulance Matters website to listen to or download the podcast, and please let me know what you think in the comments section on the podcast web site. Remember, Im very new to this hosting lark, and I can take constructive criticism well!! « Been a little busy podcasting! Curse you Mark for adding more content to my “must-listen to” list! 🙂 Good on ya! Thanks Tim, Im chuffed you enjoyed it! Good job Mark & Mrs 999. Hope to hear more soon.